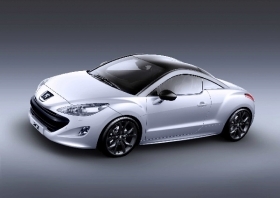 Wth cars such as the RCZ coupe, Peugeot aims to squeeze more profit from volume platforms. Peugeot will launch three upscale cars under the name hors-série in a bid to attract well-off buyers and boost profits. The hors-série models will complement sister brand Citroen's DS model line. The near-premium car lines from the two French brands are part of a trend by automakers to try to generate extra revenue and higher margins by offering upscale niche models using mass-market platforms. The RCZ coupe (pictured), which goes on sale in June, is Peugeot's first hors-série model. Based on the 308 compact hatchback, it will be built by contract manufacturer Magna Steyr in Austria. PSA/Peugeot-Citroen's brand boss Jean-Marc Gales said Peugeot will use the French words hors-série in all markets where it sells the model line without translation. Hors-série designates cars built out (hors) of mass production (série). Gales noted that Volkswagen uses the German words Das Auto as a marketing slogan in European markets outside its home market of Germany. He said there are three price points in the European market: low cost, mainstream and more distinctive. “PSA does not have low-cost models. We traditionally cover the mainstream area with the Citroen and Peugeot brands. The DS and hors-série car lines will expand our coverage into the more distinctive portion,” Gales told Automotive News Europe. Peugeot will debut its second hors-série model next year. It will be a station wagon variant of the single model that will replace the 407 and 607. Likely to be called the 508, the replacement sedan will be unveiled at the Paris auto show in October. Gales did not give any details of the third hors-série model due in 2012. Citroen launched sales of its first DS model, the DS3, this month. The DS name harks back to Citroen's first DS, which launched in 1955 and became a 20th century automotive icon. The DS3 is a three-door, more upscale variant to the five-door C3 subcompact. The DS4, based on the new C4 compact car, is due in early 2011. At the Geneva auto show earlier this month, Citroen unveiled the three-door DS High Rider hybrid concept car, which heralds the forthcoming DS4. A third DS model, which reports say will be a crossover based on the next C5 mid-sized model, is due in 2012.